Having a pond on your property to swim in, fish, and relax by is a great enjoyment. Building a pond can be as simple as digging a hole in the ground or more complex when excavation equipment is involved. Think about how you are going to use this pond to help determine size and depth. To reduce the chance of creating a swamp or a pond that holds no water, we would like to share a check list with you. Using an excavator or backhoe dig at least three holes (in late summer )within the perimeter of the pond to a depth two feet deeper than the bottom of the pond. Measure the water depth for a 24hr period in the holes to determine the seepage rate. Take a handful of soil and compress it into a ball. Place this into a bucket of water for an hour. If it remains intact there is adequate clay to hold water. The exception is gravel/sand mix with strong springs to replenish lost water. If you strike shale or bedrock this may allow water to escape the pond. Fence off the open test holes to prevent people or animals from falling in. 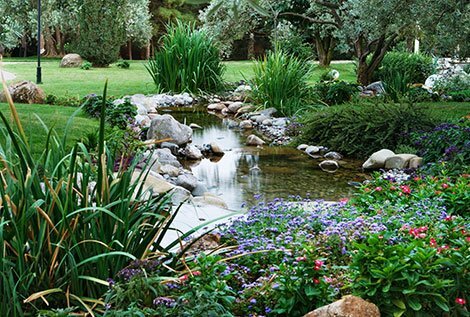 Be sure to check local and state regulations pertaining to building a pond. The fines and remediation cost can be expensive. 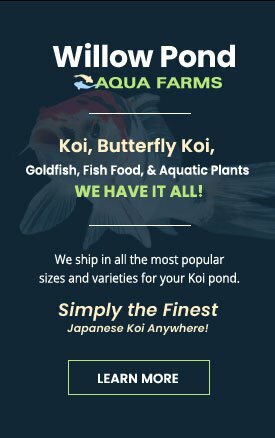 Drive around your area and find out who build the better ponds that you find. If you can run equipment do it your self. A dozer and trackhoe /excavator is needed. Have a written agreement for the work. Few contractors will return to fix a leak. Have a plan for soil management. Avoid moving it twice or having soil slide back in the hole. Pile the topsoil and cover it with seed or straw. Check with your zoning office to see if you can screen and sell the excess topsoil to recover your excavation cost. Dig a core trench under all dike walls to reduce water seepage. Remove all trees and roots within 40ft of dike walls to prevent seepage. Shallow water zones will probably support future cattail growth which can keep you busy removing them. Never use topsoil, shale, or large stone in the dike walls. Fixing a leak is expensive. Place anti-seep collars on all outflow or overflow pipes. If you must use a stream to fill the pond, build a fore bay to capture soil sediments and to act as a phytofilter. After the final grading is done and you are looking at this great big hole in the ground be proactive to reduce erosion and soil movement back into the pond. Cover the site with straw and seed. About 23 bales of straw will cover a half acre pond work site.